Week 3 COMPLETE! 100% on all my workouts and getting closer and closer to 100% nutrition. Honestly, the most difficult part of the nutrition is getting ALL the food in! I’ve had major flashbacks this week of my collegiate soccer days at Utah State University. Memories of those days we met at 5am in the weight room and then again on the field later that day for practice. Doing this daily, all while maintaining grades, relationships, work schedules and more. The words that come to mind that describe that time are DISCIPLINE, CONSISTENCY, and PERSISTENCE! DISCIPLINE = the nutrition requires more discipline for me than the workouts. The gallon of water everyday, repetition of foods, very little sugar, and LOTS of protein can be challenging. CONSISTENCY and PERSISTANCE = GYM TIME! The alarm goes off and I’m out of bed. I have loved a change in my workout routine and know that transformation will take place if I continue to show up and conquer these workouts. • Cardio: 30 seconds max effort at a 25% incline with 90 seconds of 50% recovery. Repeat for 20 minutes. Most days my workouts end like this because handstands make me happy. And if I cant have chocolate then I will just do more handstands! I have worked with thousands of clients over the years. All of them working towards various goals ranging anywhere from weight loss to performance. Has this ever been your experience in your fitness journey? My awesome coach reminded me it’s like landing a plane. Its gradual, consistent, controlled, requires precision and patience. Not to mention the necessary adjustments needed along the way. All things I share with my clients that now I get to be reminded of. And lets be real, the most significant accomplishments in our lives require these components of growth. Although the roller coaster of emotion is real, I commit to consistency and persistence. If we are the SUM of all our training, then each day we take action towards the goal it is another drop in the bucket. A drop in the bucket towards my journey to the stage is eating these eggs every single morning! A drop in the bucket is completing my workouts even when I’m traveling and only have access to hardly decent hotel gyms. A drop in the bucket is sipping on a protein shake while I’m conducting a 6-hour FreeMotion InclineFit course for these amazing trainers at Paseo Club in Valencia, California. Or sharing my journey with the fitness professionals at a Golds Gym Hollywood. It’s a drop in the bucket when I chose to skip on the sweet treats at Sea World and focus on soaking in the experience with my husband and girls. The CLEAR message of the week…ROME WAS NOT BUILT IN A DAY OR EVEN TWO WEEKS. There’s no such thing as being committed and not getting results! I’m in it for the long haul! 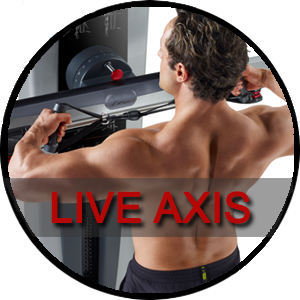 Tomorrow I have a date with LIVEAXIS and the Incline Trainer because I remain fiercely committed and the results will come! 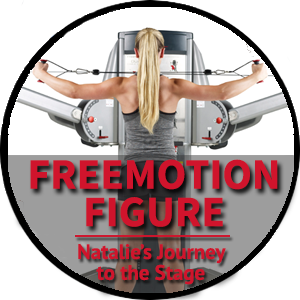 My name is Natalie, Director of Education for FreeMotion Fitness, and welcome to my ARENA! Over the next couple of months I have committed to a journey to the stage, swapping out my cleats and running shoes for high heals and a figure competition bikini. We will document and share the journey, the good, the bad and the ugly right here on the FreeMotion blog and FreeMotion Fitness Facebook page. Ill share fitness tips, show you the food I am consuming, take you to posing practice, show you how I manage it all on the road when I am traveling for work and the best part, take you with me to the STAGE! VULNERABLE would be the most ACCURATE word to describe my current emotional state. It’s scary and exciting all at the same time. I made the decision to take on this challenge and share it with you because frankly…it scares me. Outside our comfort zone is where we find and experience growth! My hope is as you follow my journey over the next few months you will be inspired to also DARE GREATLY, take ACTION, and step into your own ARENA. My WHY is to accomplish and inspire. Courage met Fear when I pushed send on the email to my coaches, Jenny and Jeff Later, with my before pictures attached. Honestly, I debated whether or not I would include those in this opening blog post and even had some people say “don’t do it” BUT quickly remembered that I’ve made a COMMITMENT to myself and to you that I will be as authentic as possible on this journey. Posting these before pictures without the after picture attached to it makes me feel incredibly exposed and liberated all at the same time. Some will look at this picture and think wow she has a great body and others may think I cannot believe she posted this picture of herself in a sports bra. BUT REMEMBER “its not the critic that counts” when stepping into the arena! The loose skin on my tummy is a beautiful reminder of two amazing little girls that call me mommy. That skin stretched to Guam and back while growing human life. The infamous “Sozio Pouch” will transform to an 8 pack and I will prove that you are not a prisoner to your genetics! If you look closely at my right knee you will see a massive vertical scar left behind from 5 knee operations. A knee that continues to support me in everything I love to do, even after everything it has endured. An imperfectly perfect body, my body, my tool! Over the next few months I will put in the work to transform my body using FreeMotion equipment, strength training, efficient cardio, intelligent coaching, spot on nutrition and steadfast will power. The day I stand on that stage I will have trusted the process, put in the work and “will at best know in the end the triumph of high achievement or at worst, if I fail, I will at least fail while daring greatly”. Excited to have you along for the ride! 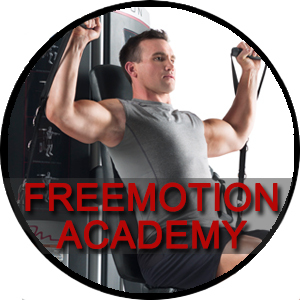 For my first fitness tip I want to show you a great HIIT (High Intensity Interval Training) workout on the FreeMotion Incline Trainer. 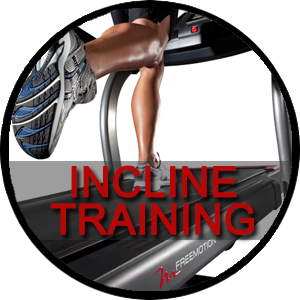 Do you want to learn about the MANY benefits of Incline Training? You can do so HERE. 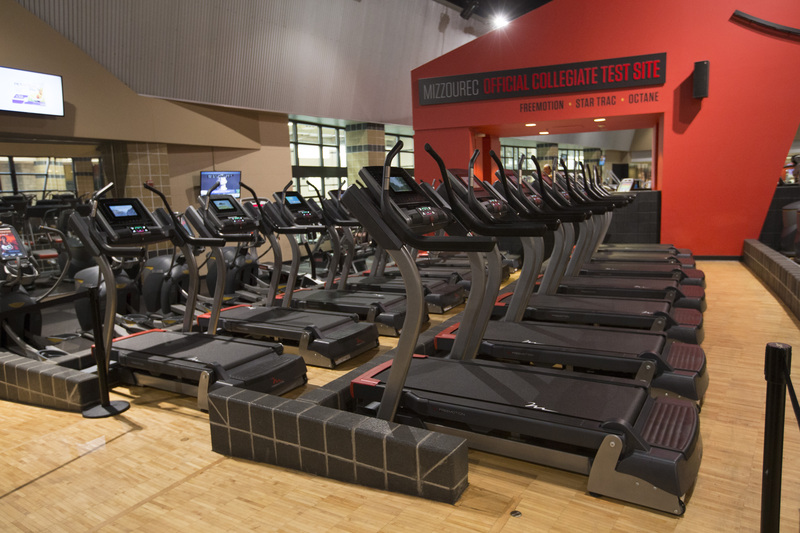 FreeMotion recently installed 36 Incline Trainers in the Mizzou Student Rec Complex at the University of Missouri and the feedback has been outstanding! Here’s an email we received from Diane Guse Dahlmann, the Executive Director of the MizzouRec Services & Facilities. 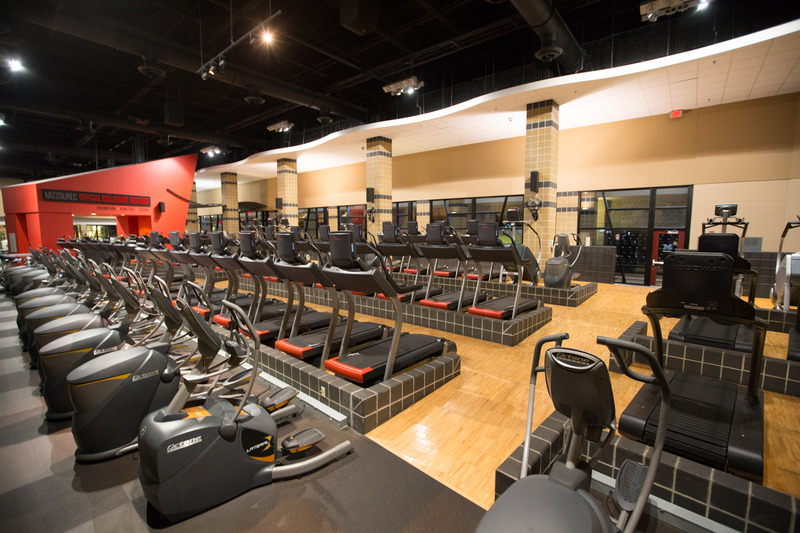 Our students have responded with enthusiasm over the installation of 36 FreeMotion Incline Trainers at the Mizzou Student Rec Complex. These newest FreeMotions have provided our Tigers with a whole new array of workout options. As a result, the new equipment has immediately become the first choice for cardio for our students. 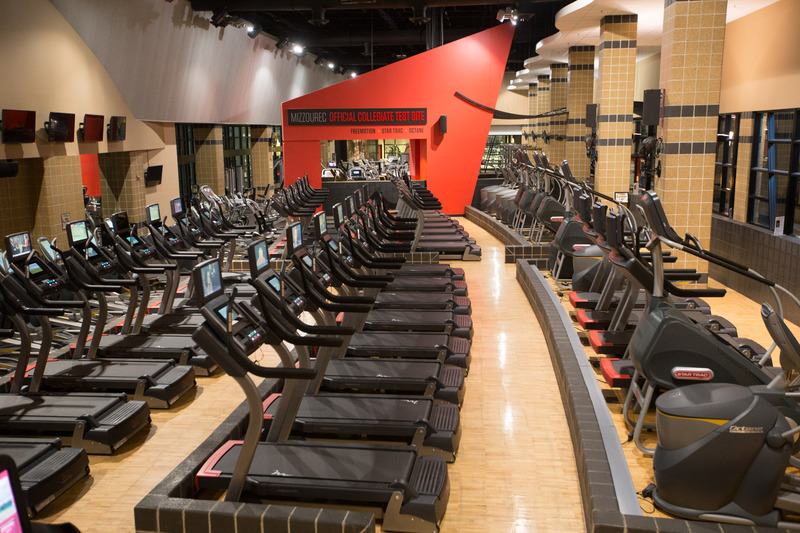 It was clear after our testing last semester that Mizzou student voices said “FreeMotion” and “Incline Trainers.” When the time came to rotate our old treadmills this summer, the choice was easy — FreeMotion Incline Trainers, 36 strong for our Mizzou Tigers! And the equipment has been running hot every since they rolled in the door! Not only are our the students thrilled with the new machines, but our fitness equipment technicians were overjoyed as well. FreeMotion was trouble-free during our tests, standing up to the vigorous use in our demanding environment. Thank you, FreeMotion — your product is Tiger Tough and Mizzou Strong!